Credit card rewards programs can be great if properly used. There are many kinds of credit cards available to choose from nowadays, and many of them offer some type of reward program. You can use credit card rewards programs to help your business. These programs can be used to benefit a business, as many owners of companies are now starting to realize. However, in order to benefit from a credit card rewards program, it is important to understand how these programs work and what has to be taken into consideration when choosing a program. 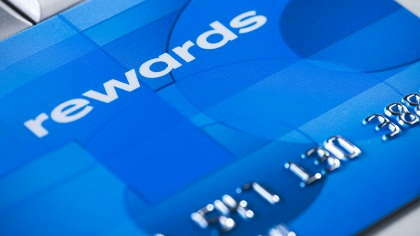 Basically, a rewards program allows the credit card holder to earn some kind of benefit in exchange for using the card. Each time the credit card is used, a certain amount of points are rewarded for every dollar spent. Or, a certain percentage of the total amount spent during a billing period is returned as cash back. The points or cash back amount can then be redeemed for a number of products, such as plane tickets, gift cards, merchandise or credit towards the bill. A business has fixed and variable monthly expenses. Depending on the size of the company and the industry, these expenses can quickly add up to thousands of dollars. These amounts spent on bills and other expenses can equate to substantial amounts of reward points or cash back amounts if they are paid with a credit card that offers a rewards program. These points can then be used for merchandise or gift cards that are of some use to the business. For example, a company that requires employees to travel by plane several times a year can save money if a couple of the tickets can be redeemed through the rewards program. Not only can the redeemed rewards help reduce overall business costs, but using a credit card makes it easier to keep track of monthly spending, and many of the credit cards that offer rewards have various tools on their website that can track spending. Due to the sheer number of rewards program on the market, finding the right credit card can be exasperating. Going through all the credit card rewards programs is an overwhelming task, but fortunately there are comparison websites that can help with the decision making process. These sites allow the desired reward to be chosen, like gas or travel, and then list the most appropriate credit card offers. The advantage of earning the right kind of rewards is that the redemptions can directly benefit the business. Not all companies will benefit from the same rewards, and therefore, it is imperative to first determine what reward could lower costs or increase profits. For smaller businesses or companies that work out of just one or two locations, the cash back option is a good choice. This is because this money can be used towards the balance left on the credit card invoice, and if used frequently, this could potentially cover a bill for an entire month or even more. For companies that are struggling to get by, this could provide the chance to recuperate and catch up on other responsibilities. Overall, rewards programs can be used to help any kind of business. By collecting enough points to travel for free a couple times each year or to earn gift cards that can be used to purchase office supplies is a great way to reduce annual costs. As long as the bills are paid on time so that the interest does not add up, businesses only have a lot to gain by implementing policies that require all company-related expenses be paid with a rewards program credit card.